This product is for exterior paint application only and is intended for use approximately six monthly or as and when required to cleanse your paint surface in preparation for waxing or polishing. 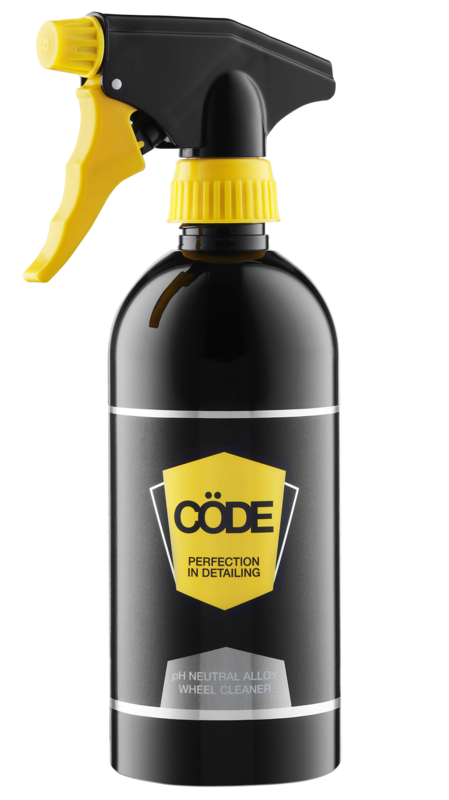 This formula effortlessly and gently removes acid rain, oil, grease, atmospheric dirt, algae and droppings to prepare the bodywork for the application of Cöde Premier 40% Carnauba Wax. It also cleanses the paint of all pre-existing layers of old waxes and polishes where persistent stains can exist. This product will not damage the paint surface. However, for effective use, the vehicle should be washed and rinsed a section at a time, ensuring that all the Cöde Surface Prep wash has been removed before drying and waxing. Rinse the surface of your car first before washing. Add 100ml of Cöde Surface Prep to 5 litres of warm water, wash with a sponge while still wet. Avoid letting the wash dry out, especially on glass or aluminium surfaces. Rinse your vehicle again before drying it with a Cöde Luxury Drying Towel. 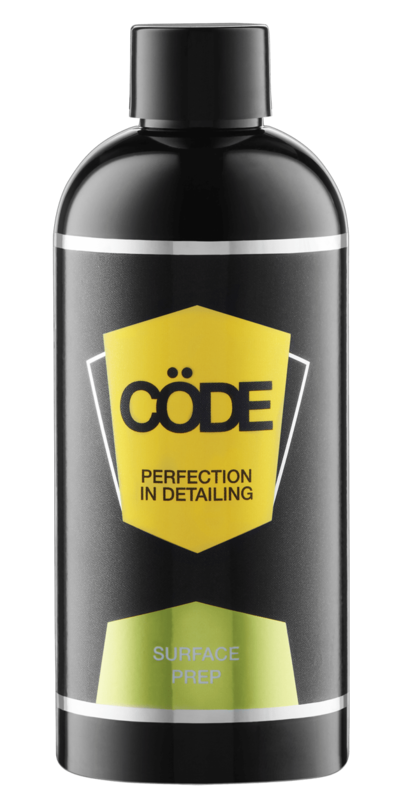 Cöde Surface Prep is step 1 in the ‘Cöde 3 step, easy on, easy off process.’ By applying Cöde Premier 40% Carnauba Wax (step 2) to the paint surface of your car you will achieve a longer lasting shine.